You've seen the commercial: A 50-something couple sits side-by-side in matching bathtubs, watching a sunset together. The ad may be for Cialis, but the image strikes a familiar chord. Walking hand-in-hand through one's golden years with a beloved companion is something most married people look forward to, at least in theory. But sometimes, reality is far more bleak. Take Lee Block's experience. One day in 2004, the stay-at-home-mom from Houston went grocery shopping with her two small children. She tried to write a check for her purchases, only to find out her joint checking account had been shut down by her husband, whom she was divorcing. Block, 44, learned the hard way about financial independence and being single again. Today, she's a divorce coach. Her urgent advice for those who are going through a split: "Understand money when you are divorced. Know how much it costs to live, and understand how much you are going to need down to the penny." While getting back on your feet financially is an obvious part of resuming single life, one oft-overlooked aspect is planning for a solo retirement. A new study from Charles Schwab shows that 85% of married Americans have begun to save for retirement, but only 67% of singles are putting away funds for their later years. It's not just the divorced who are failing to plan ahead: There is an increasing number of never-married Americans, and those who do marry are staying single longer beforehand. For many older women, too, becoming single again is a natural outcome of longer lifespans. Women outlive men by seven years on average. All told, there are nearly 100 million single people in the United States, according to the latest Census Bureau figures. Carrie Schwab-Pomerantz, senior vice president at Schwab, says that being married adds a level of accountability to retirement planning that single people don't necessarily have. "Not having to answer to someone else gives you an illusion that time will keep ticking," she says. Another issue clouding retirement planning thanks to the advancing age of first marriages is the perception that retirement planning can wait until after the "I dos." But nearly every financial planner agrees that the earlier retirement planning starts, the easier it is to build a substantial nest egg. "The longer you wait, the harder it is to catch up," Schwab-Pomerantz says. For all these reasons, it is vitally important that single people take control of their financial destinies as soon as they can, she says. When couples get divorced, money contributed to retirement accounts by either spouse during the marriage is considered a marital asset, and can be divvied up under a qualified domestic relations order. While that may provide some retirement security, Debra Fournier, a certified divorce financial analyst in Manasquan, N.J., says that it is crucial for singles to continue contributing to retirement on their own after a split. "Pay yourself first," she says. Adjusting to a new -- usually lower -- level of lifestyle is critical for the newly single, but Fournier says budget adjustments should never come at the expense of saving for retirement. Schwab-Pomerantz agrees that retirement savings need to be the first allocation for money, especially if the single person has a matching 401(k) program. Secondly, she advises people to pay off high-interest debt like credit cards, and thirdly, create an emergency fund. "As a single person, you don't want to be in a position where you have to sell long-terms assets to pay for an emergency or get an emergency loan," she says. "It is better to have some cash." Block, who coaches the newly single, says often she sees splits that end with nothing after child support, alimony and taxes. "If you come out and you have nothing, chances are there was nothing there to split or not enough to make a difference," she says. For many women who were stay-at-home moms, that means heading back into the workforce and getting a job, ideally one with benefits. However, sometimes plain old income is the first step. "I have clients that have gone out and waitressed to make sure they know their kids are going to be OK. You do what you have to do," Block says. "Don't get mired down in 'why me.' Step up and take the bull by the horns. The fact is, when you are divorced, you are responsible for everything." 1. Live below your means. Financial planner Fournier says the biggest mistake she sees among the newly divorced is the failure to adjust to a lower income. "Lifestyles change dramatically on both sides [in a divorce]," she says. "The expenses stay the same, but there is less income." The challenges for many new singles are cost containment and not racking up credit card debt. 2. Save 10% to 25% of your income for retirement. Don't underestimate the power of compound interest, nor the expenses you'll have in retirement, says Carrie Schwab-Pomerantz. The earlier you start saving, the less you have to save from each paycheck over time. For singles in their 20s, she advises saving 10% of your income toward retirement; for 30-somethings, bump that up to 15%, and for 40s and beyond between 20% and 25%. 3. Maximize your company match and IRA contributions. Fournier says that many times in a divorce, people stop contributing to their 401(k) or IRA plans to increase cash flow. That's a mistake: Make whatever budget cuts are necessary so that retirement is not compromised. 4. Get long-term care insurance. "It's a comfort to have some kind of long-term care insurance and not have to rely on somebody else," Fournier says. 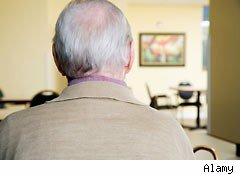 Cost of home care ranges from state to state, but the cost of living in a private nursing home in 2011 is more than $77,000 a year. Long-term care insurance can defray those costs. 5. Create an emergency savings cushion. A savings account that contains enough cash to cover three to six months of expenses can be the difference between having to sell assets under pressure and navigating an emergency with your financial plan intact.